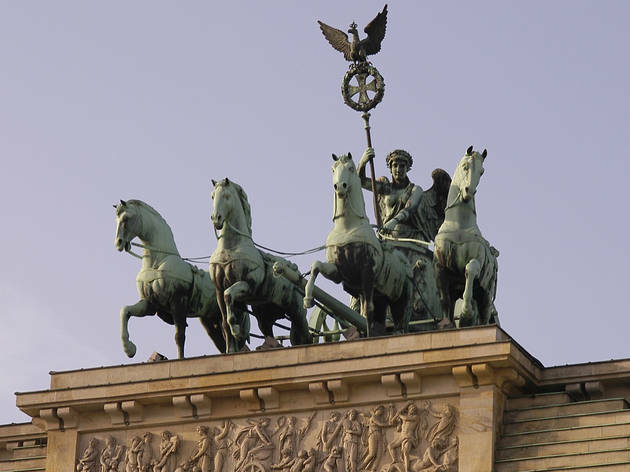 With its commanding vantage point over Unter den Linden, the Brandenburger Tor provides a spectacular gateway to Berlin and its history. The classical arch was constructed in 1791 to celebrate the city’s status as Prussia’s capital and although initially known as the Friedenstor (Gate of Peace), it has had to survive stormy times. 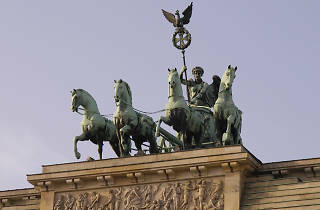 The Quadriga statue on top shows Victory driving a chariot, but fell victim to Napoleon when he conquered Berlin in 1806, holding it hostage in Paris for 12 years; come the 20th century the Quadriga was turned around to face west by the DDR. Victory was repaired after the major celebrations around the Tor when the Wall came down and now finds herself facing Mitte once again.